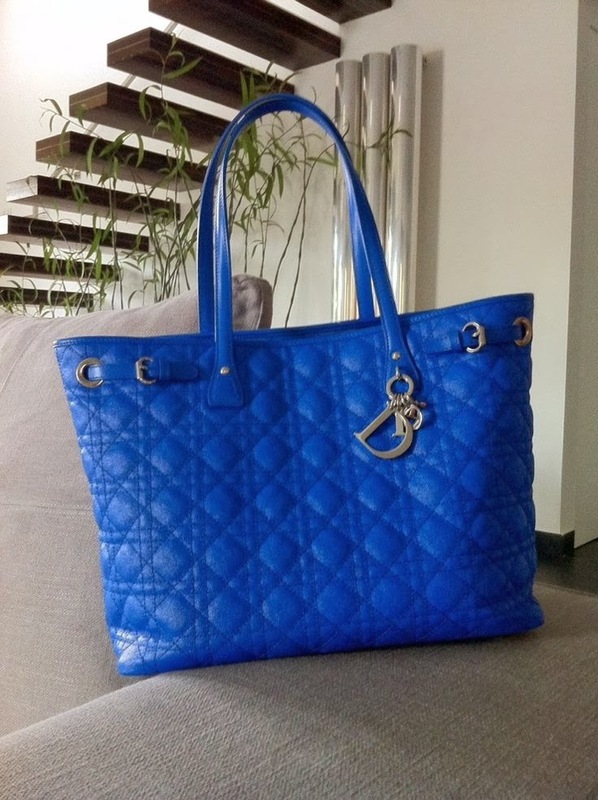 The Dior Panarea tote is great for everyday use, its lightweight, modern and practical. 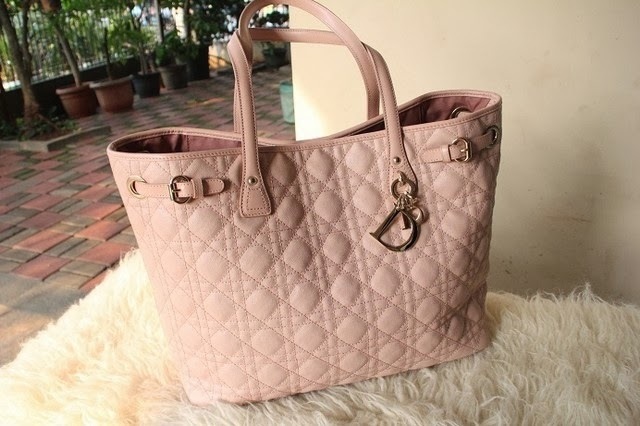 The shape of the bag can be changed with an inner fastener system to carry by hand or on the shoulder. 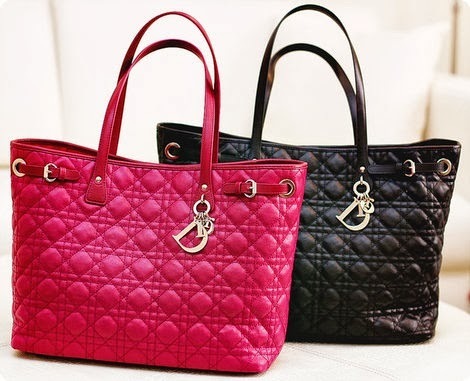 The Dior Panarea tote has traditional shopper shape with magnetic closure on the top, to keep bag secure when necessary. Tote lined with nylon lining and has 4 protective hardware base studs. The Dior Panarea is made of textured coated canvas with signature 'Cannage' top stitching and supple leather trim. Tote has shining 'D.I.O.R.' letters hardware charms. 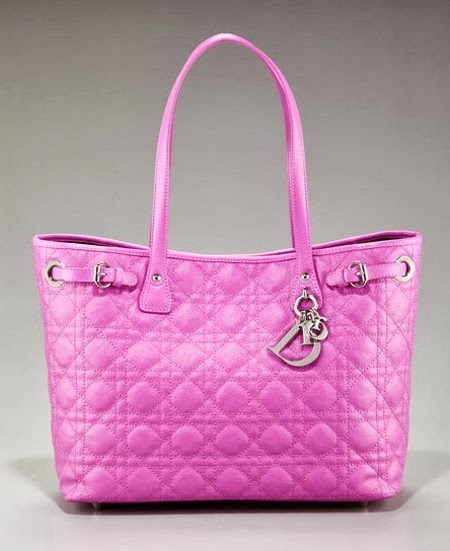 The Dior Panarea tote is not a structured bag, it has a slouchy and soft shape. Medium: 9 1/2"H x 13 1/2"W x 5 3/4"D.
Dior Panarea is made in Italy.